Having enough car insurance can help protect you and your finances. 1. How Much Personal Liability Coverage Do I Need on a Homeowner's Insurance Policy? 3. Can My Insurance Company Change My Homeowners Coverage? Reviewing your car insurance policy at least once a year and adding coverage as necessary is a key part of financial planning. A thorough review starts by making sure your policy has adequate basic coverage and that all drivers in your household are protected. The next step is to consider whether basic insurance is enough to safeguard your net worth if you cause an accident or are involved in a crash with an uninsured driver. Minimum car insurance requirements vary by state and don't always guarantee drivers have enough protection for their situation. In Maine, for example, drivers must carry "50/100/25" coverage, while in New Jersey they are only required to carry 15/30/5. The first number in the series shows the bodily injury liability coverage for one person injured in an accident, in thousands of dollars. For Maine, this would be $50,000. The second number, $100,000, represents the bodily injury liability protection for all injuries in one accident. The third, $25,000, identifies the property damage liability maximum for one accident. Consumer Reports recommends buying at least $100,000 in liability coverage per person and $300,000 per accident, with up to $100,000 for property damage. About 16 percent of U.S. drivers are uninsured as of 2013, according to the nonprofit Insurance Research Council. If you get in a car accident, there's a 14 percent chance it will be with an uninsured driver. You are also at risk if an at-fault driver doesn't have enough coverage. Because of the risks uninsured or underinsured motorists pose, the Insurance Information Institute recommends buying the same amount of this coverage as you have for liability protection. The higher your net worth, the more you stand to lose if you're the driver at fault in an accident. Umbrella insurance can reduce the risk that an injury or property damage lawsuit could exceed the liability limits on your car insurance and cut into your savings. An umbrella policy can protect you from lawsuits of $1 million or more and cover the cost of your legal defense. As of 2012, the average cost of adding an umbrella policy is about $150 to $200 a year for the first $1 million of coverage and about $100 for each additional $1 million, according to Bankrate.com. Although adding coverage will increase the cost of your car insurance, you may be able to cut costs by boosting your out-of-pocket policy deductibles. Raising a deductible from $250 to $1,500 could reduce your insurance rates by as much as $500 a year, according to DMV.org. Review the driving record of each person on your policy. Before committing to increasing your deductible limits, consider whether you feel the risk is worth the extra out-of-pocket expense. Bankrate.com: What Is Umbrella Insurance? Who Needs It? Does Homeowners Insurance Cover Accidental Fires? 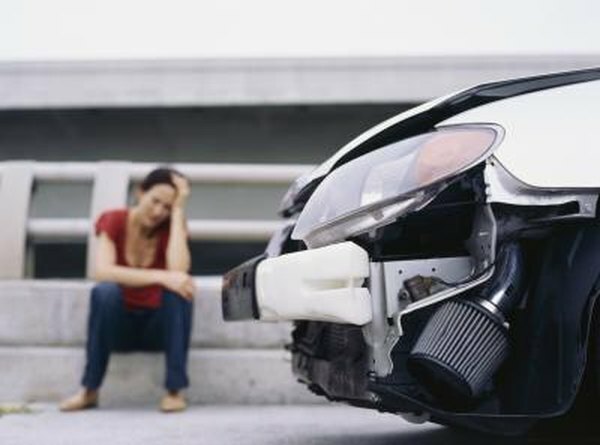 How Much Property Damage Insurance Is Needed for a New Car?